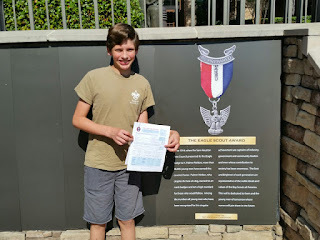 The Garner Family: Eagle Scout!!!! 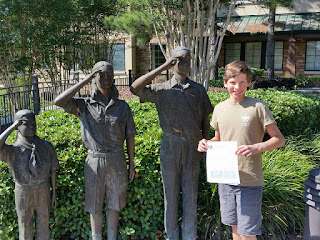 Dawson completed all of his requirements for Eagle Scout (all of the merit badges, service hours, time spent in scouting, serving in leadership roles, the big Eagle Scout project, all of the paperwork, essays, Scoutmaster Conference, and Board of Review - whew!). He took his completed and signed application to the District headquarters in Houston. 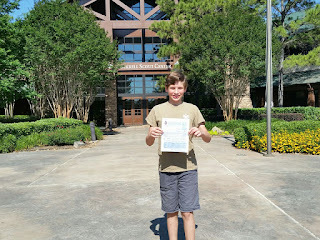 Now it's just a matter of time until he gets his official certificate from the BSA National office. So . 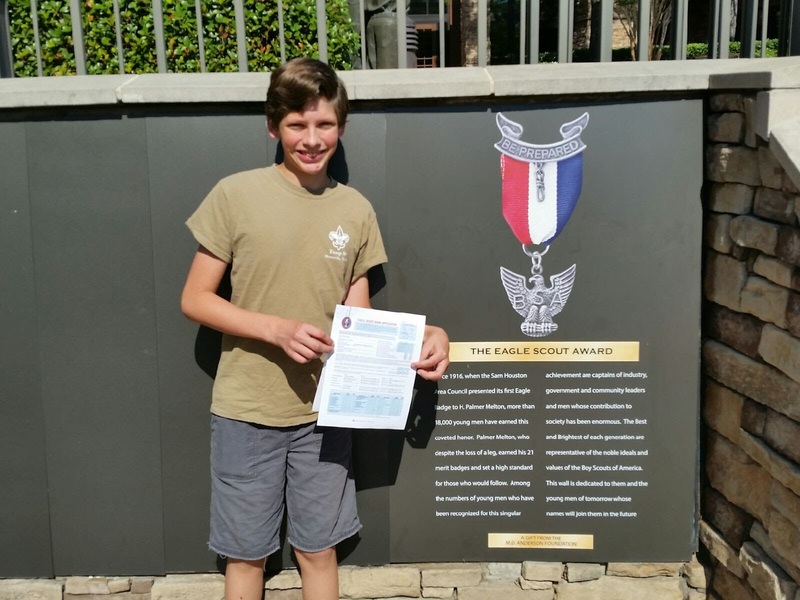 . . Dawson is an EAGLE SCOUT! What a superb accomplishment!